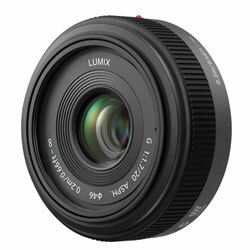 Dpreview has reviewed the Panasonic Lumix G 20mm F1.7 ASPH lens for the Micro Four Thirds system. There has been quite a lot of fuzz around this lens because of its F1.7 aperture and the interesting 20mm focal length (equivalent to 40mm in 35mm standards). Since Dpreview is my favorite review site I’m quite excited to see what they think about this lens as I’m looking into purchasing a Micro Four Thirds camera. Dpreview ends up giving the Panasonic Lumix G 20mm F1.7 ASPH a “Highly Recommended” rating as the lens is very small and light weight in combination with having good build quality and proper manual focusing. The lens also is also able to produce impressive images at all apertures. The only downside is a bit hefty price tag. Seems like Panasonic has produced a winner with the Lumix G 20mm F1.7 lens. Read the full review of the Panasonic Lumix G 20mm F1.7 ASPH lens here.